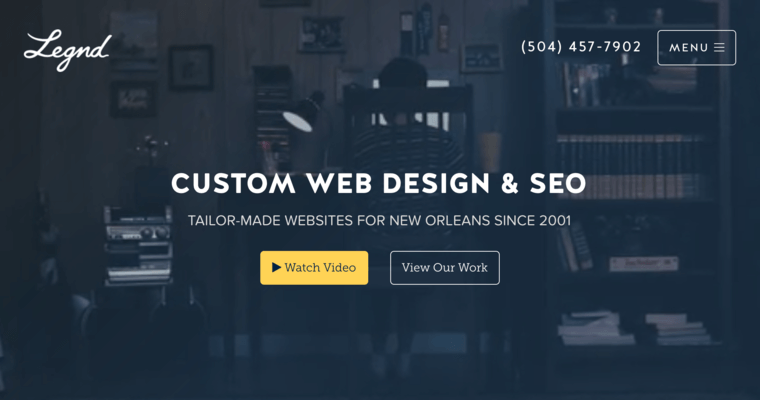 Legnd is a New Orleans-based web design firm that offers clients a tremendous and versatile suit of digital solutions for all types of projects and design goals. The experts have worked with all types of other companies in the field, providing their customers with customized solutions for all manner of industry issues. Everything is covered in basic collaboration packages, which can allow digital professionals to build their platform from the ground up. 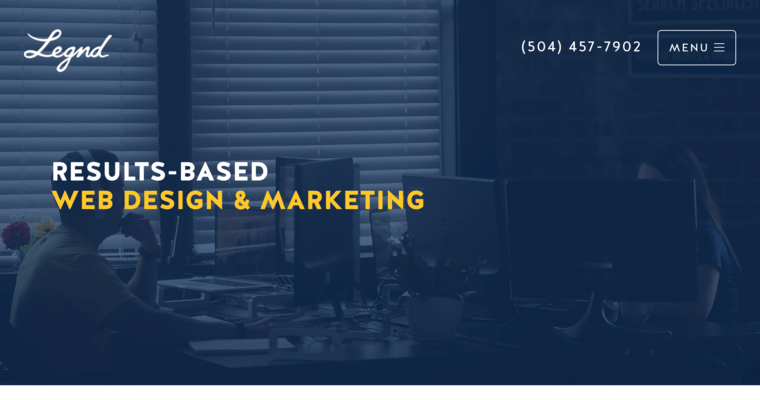 From web design and development to long-term maintenance and content generation, those who do not have a tremendous amount of experience in the field will benefit from working with Legnd. The experts make sure that the client's website and services are as accessible as they are effectively designed, and the Legnd team prides itself on using the latest in technology to establish reliable websites. 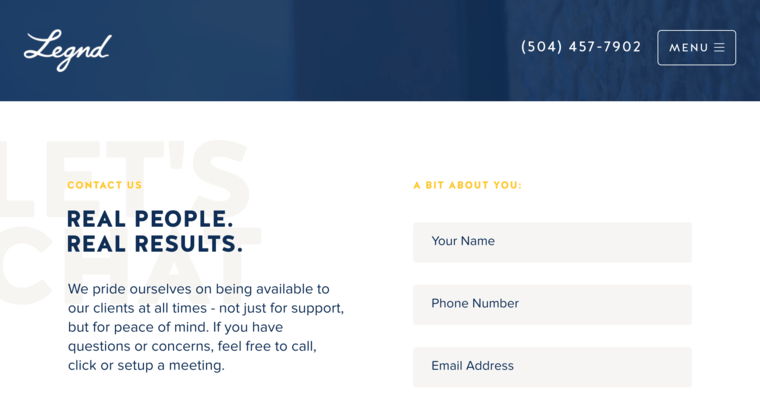 The company focuses on generating measurable results in order to drive their client's web development experience.